With over 140 stunning, high quality maps, plans and illustrations, this book brings the subject to life, revealing all aspects of knights and castles. 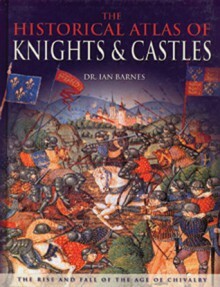 In addition to looking at particular battles and conflicts, the book also examines the military hardware used by knights, with a section on the development of the arms and armor used by knights through the centuries. The different styles of castles from basic fortifications to more elaborate and impenetrable defenses are also discussed. Finally, it examines how the legacy of knightly romance is portrayed in contemporary orders of knighthood, and how the idea of knights and knighthood survives to this day in the realm of people’s fantasies.